What do the latest imported smash hit musical from America and Britain’s historic vote for Brexit have in common? The answer, it turns out, is nearly everything. Yesterday evening I succumbed to the hype and went to see the London production of Lin-Manuel Miranda’s hit musical Hamilton, newly opened at the Victoria Palace Theatre. Hamilton tells the story of Alexander Hamilton, American statesman and Founding Father, most famous for having been a delegate at the constitutional convention of 1786, writing many of the Federalist Papers, moulding the new country’s financial system as Treasury Secretary during George Washington’s presidency and having been killed in a dual by political rival Aaron Burr. Through his words and intellect, Hamilton made an enormous contribution to the birth of America, yet his untimely death robbed him of as prominent a place in history as his legacy deserved. At first glance this might not seem the most promising material for a musical show, but theatre aficionados have been buzzing about Hamilton since it premiered in New York to rave reviews back in 2015. Such has been the show’s rapturous reception that it is fairly hard to find a negative review, let alone a ticket, especially in New York where tickets for the Broadway production have traded hands on the secondary market for insane sums of money. Being something of a contrarian, I arrived at the theatre in sceptical mood, perhaps too eager to find fault with something that was being universally praised by everyone else. I was sceptical that the rap and hip-hop musical styles which predominate would be a good fit with the narrative material, and worried that the much-discussed “colour-conscious casting” might be little more than a convenient excuse to shoehorn an identity politics lecture into what should be an evening of entertainment. As it turned out, my scepticism was blown away and any worries about ideological virtue signalling were (mostly) unfounded. Hamilton is an excellent show, the musical genres and clever allusions to other composers from Gilbert & Sullivan to The Notorious B.I.G. draw you in to the story rather than distracting from it, and the source material (Lin-Manuel Miranda based his show on the 2004 biography of Alexander Hamilton written by Ron Chernow) is catnip for history and constitutional geeks like me. But as I watched the first act build to a climax – after Alexander Hamilton has arrived in New York, become involved in the revolutionary movement, served as General George Washington’s aide-de-camp, fought at Yorktown, studied law in New York after independence was won and ultimately chosen to be that state’s junior delegate to the constitutional convention in Philadelphia, which laid the foundations for the United States of America as we know it today – something else occurred to me. It provoked groans and assorted expressions of incredulity from my wife and our friend when I confessed my epiphany during the interval, but as the show progressed I realised that the story of Hamilton – of people forging a new and uncertain path through a world in flux – is also the story of Brexit. Bear with me, and I shall explain why. After they won the War of Independence, Americans didn’t know exactly what they were creating or the experiment they were embarking on. They knew that remote and authoritarian rule from an overseas power was intolerable and injurious to their right to freedom and self-determination, but having thrown off the shackles of monarchy there was no set template for them to follow, no clear-cut alternative to which they should naturally gravitate. Much of the detail as to how freedom from empire would actually work in practice had to be hashed out in contentious discussions, first formalised in the 1777 Articles of Confederation between the thirteen original states and later in the 1787 Constitutional Convention. This was a time of uncertainty, but it was also an exciting time ripe with promise. Then, as now, there was a new world to build. Today, we face similarly profound questions about how humanity should best govern itself in changing times, as the epoch of the nation state finds itself threatened and undermined by powerful forces such as globalisation, automation, mass migration and the need to balance smart regulation of international trade in all its technical complexity with the need to preserve democracy and the ability of ordinary people to defend their local priorities and concerns in the face of corporate technocracy. The existing political order has never looked less equipped to deal with these challenges, or been so discredited and seemingly unequal to the serious task at hand. In Britain, the political class have forged ahead with a centrist, corporatist vision regardless of which political party was in power for the past three decades, an incredibly narrow Overton Window effectively shutting out a huge range of reasonable, non-extremist political ideas from the national political debate. And in the United States, politicians of both parties peddled the illusion that the post-war manufacturing economy could be resurrected together with the promise of a comfortable middle-class lifestyle sustained by semi-skilled manual labour requiring limited education. In both cases the people themselves were partially to blame for falling for false promises and in some cases practically demanding to be lied to by pandering politicians, but regardless of ultimate fault it has increasingly dawned on people that national and international institutions as presently configured have not met the challenge of our times and can not keep pace with a world increasingly knitted together by technology. The European Union, held up by its naive supporters as the unquestionably superior way for nations to peacefully cooperate (despite not being replicated on any other continent), has conspicuously failed to effectively tackle nearly all of the big challenges thrown its way, from the migration crisis to the pitfalls of monetary union to rampant corruption in some member states and growing authoritarianism in others. And through all this, despite Herculean efforts and vast sums of money spent with the aim of forging a cohesive European demos – a body of people who hold their European identity in equal or greater worth than their national identity – no such demos has formed. The EU’s “if you build it, they will come” strategy, creating all of the institutions required for a supranational political state in the expectation that a demos would magically follow along to grant them legitimacy, has failed. Outside Britain, where misguided and low-information young idealists sing Kumbaya and paint the EU flag on their faces, euroscepticism among young people is increasing as more people recognise that the institutions of Brussels present a beguiling but erroneous vision of the future. To all these challenges and more the European Union has nothing to offer save more political integration for the sake of political integration. The EU has no answer, just as remote and exploitative monarchy failed to redress the legitimate grievances of the American colonists. One must remember that no republicans believe their republic can last forever. A republic, by its very essence, must rely on its organic nature, a living thing that is born, flourishes, decays, and dies. It is, by nature, trapped in the cycles of life, bounded by the walls of time. While a cosmic republic might exist—as understood by Cicero’s “Cosmopolis” and Augustine’s “City of God”—it existed in eternity and, therefore, aloof of time. Who can deny that some aspects of our present society – our materialism, individualism and instinctive fear of anything that might (no matter its virtue or long-term benefits) temporarily disrupt the steady accumulation of wealth, assets and positive experiences which we increasingly expect and demand – are worryingly reflected in Livy’s words? To paraphrase Birzer, all things must come to an end. The Britain of today is not the Britain of thirty years ago, just as the dogmas of Ronald Reagan’s “Morning in America” no longer automatically apply to the American present. We have witnessed tremendous progress in that time, but also political and social atrophy. We are not what we once were, and neither should we cling on in futility to what is past. 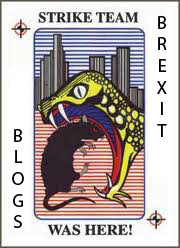 Many Remainers, having fixed in their minds the false image of Brexiteers as Mafeking stereotypes – curmudgeonly old retired colonels pining for lost empire – fail to realise that through their devotion to the European Union it is they who yearn to preserve the past, slavishly devoted to an anachronistic mid-century blueprint for a new world order, one which came to partial fruition, peaked and then found itself wholly inadequate to the stormy present. Brexit is not a magical elixir sufficient to address the stormy present or dissipate the challenges we face, but it is a necessary first step to confronting them, just as Alexander Hamilton and the other Founding Fathers could not fully contemplate and realise their revolutionary new system of government until they had first thrown off the shackles of monarchy. Looking at Brexit as a narrow and obstinate project to reclaim full sovereignty or purely as a technocratic matter of trade regulations is to miss the point – we are seeking not to go back but forward, and Brexit is a necessary (though not a sufficient) condition to enable this progress. It pains me to read much of the coverage and commentary around Brexit, which overwhelmingly ignores the big picture and the long term to obsess over speculative short term costs. It is vital to consider short-term costs and risks in any endeavour, but good policymaking is only possible when short-term considerations are balanced with a broader, longer-term perspective. Remainers often react with incredulity to the suggestion that anything might matter beyond next year’s GDP growth rate, but the American colonists of Hamilton’s day were every bit as concerned about their economic prosperity and security as their modern-day British counterparts; they just also realised that other issues were at stake, issues worth enduring the hardship and destruction of a revolutionary war to correct. We in modern Britain are called to make no sacrifice remotely comparable to that of the inhabitants of the thirteen colonies as they struck out on their own to form a more perfect union. It would be laughable to compare even the worst of mismanaged Brexits to the price that Hamilton’s peers paid for their freedom and for the opportunity to advance the model of human governance. Yet so great is our present culture of consumerism and so diminished our sense of citizenship or civic duty that few of us are capable of thinking in terms greater than the pursuit of whatever might sate our present desire for comfort and stability. And even when this stability is under long-term threat, such is our fear of disruption that we would rather cling on to the slow, familiar degredation than take any risk by seeking to prevent it. Today we have a tendency to think of ourselves as having transcended our past, that we inhabit what Francis Fukuyama called “The End of History”, a time when all major human challenges have been vanquished and we inhabit some kind of permanent, beneficent steady-state from which any departure would be an intolerable disruption. And from this perspective, Brexit does indeed appear to be a crazy, irrational endeavour, threatening to unleash a backslide into the fascism and totalitarianism with which we struggled in the twentieth century. It has been decades since Britain truly took the lead in influencing world affairs. But having voted for Brexit and thrown into the open many pressing debates which other countries remain desperate to defer or ignore, we can now be both a laboratory and a beacon for the world. Rather than feeling rancour or relitigating the 2016 referendum result, we should feel the same sense of excitement and possibility that Alexander Hamilton and his co-revolutionaries felt as they debated among themselves how to keep the new republic that they had created. We must rediscover that spark within ourselves. Perhaps it is no coincidence that a stirring tale about forging a new, more democratic future, a story kindled in America, is set to take Britain by storm as we negotiate our secession from the European Union and look questioningly but optimistically towards the future. Perhaps it is no coincidence that the spirit of Alexander Hamilton is flickering back to life on a London stage at this specific time and place. Because when you strip away the political games and the media sideshow, the catastrophisation, recriminations, denunciations, speculations and bifurcations, the story of Hamilton may just also be the story of Brexit – if we have the courage and vision to make it so. Hamilton tickets and information here.